Choose Generations Hall as your Wedding Venue and Setup! 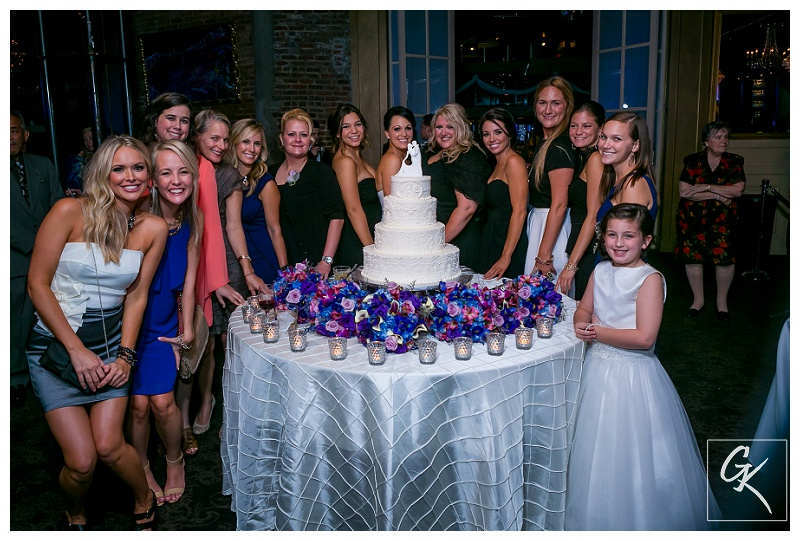 Whether you are looking for a place to have your next big party or wedding reception, Generations Hall in New Orleans is ready to cater to your every need in order to make your event one to remember. There are tons of different floorplans to choose from and plenty of amenities to take advantage of to make sure that your guests have the time of their lives. Our facility is located near the French Quarter in New Orleans, so if you are looking to have a truly New Orleans style wedding, this is the place for you. When you’ve chosen Generations Hall, you’ve choosen the right wedding venue and setup. We will help you plan the party perfectly down to the last detail! So come by today and see for yourself why Generations Hall is the perfect venue for you! Generations Hall was originally a sugar refinery built in the 1820s to help give your event a truly old school New Orleans feel. We have also decorated the walls of our venue with different artwork by George Schmitt and Xavier deCallatay. Our venue also features a high tech sound and light system, so that your party will surely be one to remember. So be sure to give us a call or come by today and a member of our staff will help you to start planning out your next event! At Generations Hall, you can design the layout of your wedding however you want based off of the budget you have, and our staff will set it up exactly how you want it down to the smallest detail. You can choose from three different venues at Generations Hall: The Metropolitan One, Metropolitan Two, or the Big Room. All of these different rooms are equipped with bathrooms, full service bars, stages, and more! We also offer plenty of amenities you can take advantage of for your wedding party, like an onsite kitchen. If you truly want to make your wedding reception one to remember, you can have balloon drops, confetti canons, and a whole lot more in order to liven up the party. You can also choose from plenty of live bands or DJs that we work with, so you will be able to keep the party going all night. So if you are looking for one of New Orleans’s premier wedding venues and setup, be sure to come and check out Generations Hall for yourself. Come Check Out Generations Hall Today! If you are planning your wedding and looking for a place that will provide you with a premier wedding venue and setup, then be sure to give Generations Hall a call and we will help you plan the best night of your life. We can also help you plan your next big birthday party, luncheon, banquet and more! © 2018 Generations Hall | New Orleans Banquet Hall & Event Venue | 310 Andrew Higgins Blvd | New Orleans, LA 70130 | (504) 568-1700 | All rights reserved.